Colouring outside the lines inspired this unique marble and brass tray. 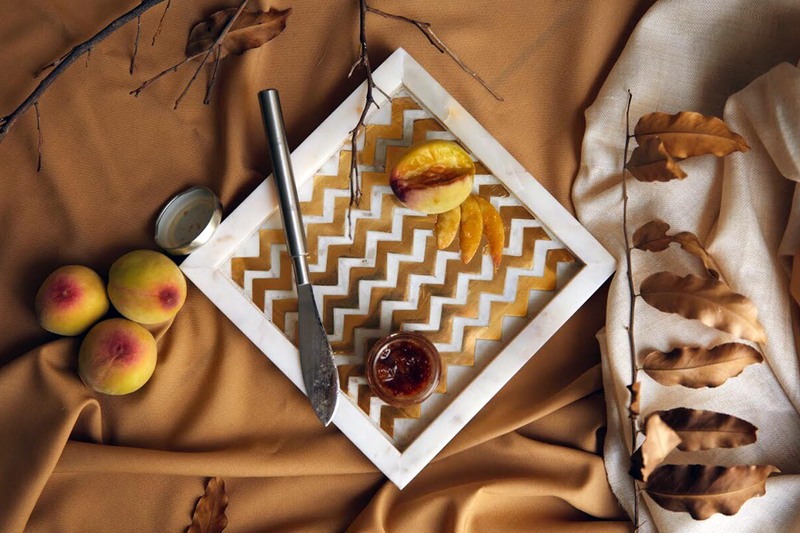 Detailed with a brass inlay chevron pattern, this tray can be used to keep your bedside, dresser, or dining table organized. A part of the B-9 collection - an ode to the designer’s childhood home and all the memories associated with it. Intiki - meaning home, in Telugu dialect, is a home decor label that brings design elements with a modern and clean aesthetic. 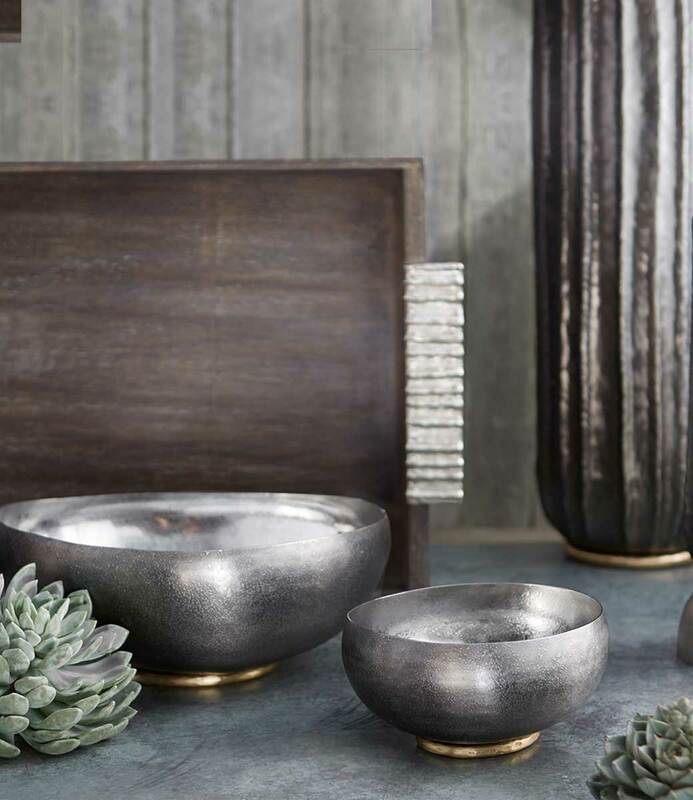 Drawing inspiration from the textures and tonality of India, the products appear luxurious yet hold reminiscence of the inspiration they hail from. Founded by art enthusiast Anchal Khosla, Intiki pays homage to India, personified through a mix of different materials, finishes and styles native to the homeland - an attempt to stay mindful of appealing to different people with varying aesthetics. All Intiki products are handmade in India where equal importance is rendered to the buyers and ‘makers’ - the artisans behind the products.